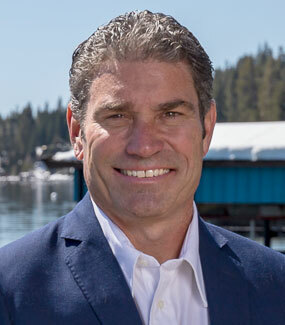 One spectacular asset Lake Tahoe has is the range of real estate on the market. Most of the homes are unique and full of there own character. Lake Tahoe properties can be small or they can be the biggest mansion ever on the market in the U.S. Right now there are 120 single family homes that are for sale on the north shore and the median home price is $792,000.00. There are 17 listing under $500,000.00. The lowest priced Lake Tahoe property on the market today is priced at $200,000.00. Located at 358 Twin Crags Road in Tahoe City is a U.S Forest Service land lease. This cabin offers a rustic charming escape. This two-bedroom home has everything you need, with an expansive deck to relax on at the end of the day. Built by the Seller’s family, they pass on their memories of fishing, hiking, and all that Tahoe has to offer. There are 58 listings priced between $500,000 and $1,000,000. In the middle of today’s market sits a very unique Tahoe home at 4081 Gstaad Road. Views, Sun, creekside ambiance and more. A tasteful update was just completed. Garage is oversize and has upper storage. Located just a half mile from Sherwood chair at Alpine/Squaw with a parking pass for the private pad. A creek runs to the West of the property and will lull you to peacefulness. Walk down the trail to the Tahoe Rim Trail, or jump on your bike and go to Stanford Rock. Recreation abounds in this down sloping location. At the higher side of the range there are 45 properties priced above 1 million with the highest reaching $29,500,000.00. It is the iconic Carousel Estate on Tahoes West Shore. Located at 2340 Sunnyside Lane the quintessential lake front estate offers ultimate privacy with 3.5 level acres, 200 +/- lake front feet, marina style pier, 2 buoys, stately trees & expansive lawn area to the waters edge. Home exudes true Old Tahoe ambiance. Main house has a total of 8 bedrooms and 9.5 baths in 3 separate living areas under one roof, connected by breezeway, plus a 2 car garage. Property also includes 3 Bd/1 Ba guest unit located above 3Bd/1Ba caretakers apartment with a second 2 car garage. Image this as your Lake Tahoe dream home.